The Vice-Chancellor, Prof. Olusola Oyewole, has said that the Visitation Panel report is a document that has helped the University to become a better citadel of learning. While welcoming the monitoring team from the Federal Ministry of Education, who visited the University recently, Prof. Oyewole said, “we do not want to be like any other University in the country, we want to make impact”. He explained that the White Paper of the 2004-2010 Visitation exercise in the University was published and distributed to everyone on campus as a document to inform stakeholders about how to move the University forward. This was done over a year ago, with the establishment of an Special Committee inaugurated with the same terms of reference with the Visitation Committee. The Vice-Chancellor said he was glad that though the campus was noticeably quiet, it was not due to the ongoing ASUU strike, but for the fact that FUNAAB had concluded examinations, prior to the commencement of the strike, hence, students were on their regular sessional break. The leader of the delegation, Mrs. Elizabeth Igelagba, said the team was around to partner with the University, for its development. 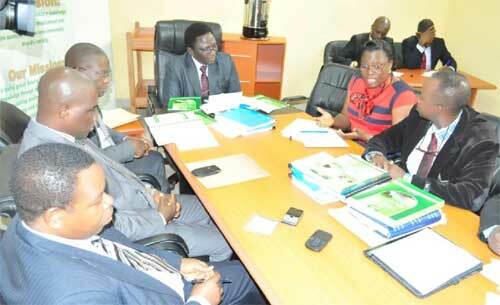 “We are here to monitor the level of implementation of the Visitation Panel report. We work as a team, we are glad that everything has been done. 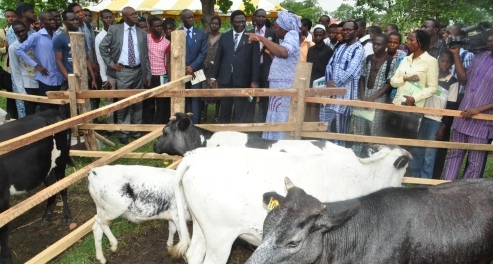 The Vice-Chancellor was proactive, working to ensure we are partners with the Government”, she said. The monitoring team leader said she was glad that FUNAAB had finished all examinations, stating that like in the days of old when students could even go to seek for holiday jobs. Meanwhile, the team embarked on the trip to monitor the implementation of the White Paper of the 2011 Presidential Visitation Panel to the University. With the Vice-Chancellor to receive the team were other Principal Officers, Director, Internal Audit, Mrs. Francisca Aroyeun; Deputy Director, Physical Planning, Arch. Babatunde Anasanwo; Director, Academic Planning, Professor Adekojo Waheed; Deputy Director, Senate and Admission, Mr. Aniediabasi Udofia, amongst others.